When you stop to think about it, the fact that so much of the world’s attention-not to mention so much jealousy, anger and irrationality-has for so many years been so keenly focused on so small a piece of real estate as Yerushalayim is astounding. Actually, in a certain way it’s enthralling too, demonstrating as it so powerfully does how special the geographic epicenter of the Jewish People-the dynamo of holiness that sanctifies the rest of Eretz Yisrael-is, today no less than ever. Over history, many empires claimed sovereignty over the quintessentially Jewish city, site of the batei mikdash, the central Jewish Holy Temples; and many marauders overran it. Now, to add to all the indignities visited upon the Holy City over the millennia, Jerusalem is being summoned to appear before the United States Supreme Court. Well, okay, not exactly. 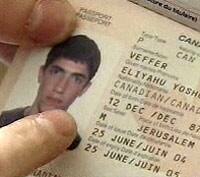 What the High Court will be considering is the passport of a Jerusalem-born boy. Menachem Zivotofsky’s parents, American citizens, requested of the U.S. Embassy in Tel Aviv that “Israel” be listed as the country in which their son entered the world. Then-President George W. Bush had mere weeks earlier signed a bill directing the U.S. State Department to do just that upon parents’ request. But Mr. Bush made clear at the signing that the law “impermissibly interferes with the president’s constitutional authority to conduct the nation’s foreign affairs.” That proviso, in which Mr. Bush essentially rejected the authority of the law he signed, was reminiscent of the executive orders issued by every sitting president since 1998 that, despite the 1995 “Jerusalem Embassy Act” mandating the relocation of the U.S. Embassy to Jerusalem, the move would not actually happen. The justification for the orders is the need to “protect the national security interests of the United States.” The guardedness, in other words, is seen as necessary to preserve the government’s claim of objectivity with regard to any future Israeli-Palestinian peace agreement. And so the State Department maintains that U.S. passports of individuals born in Jerusalem list only the city’s name, without anything appended. In the meantime, the Obama administration came in for some criticism on the issue. The New York Sun’s website reported recently that photographs posted on the White House website that had carried captions referencing “Jerusalem, Israel” had been altered to read simply “Jerusalem.” The changes were presumably an effort to avoid the captions being invoked in the upcoming Supreme Court case-although photo captions obviously have something less than legal import. Indeed, the White House site’s captions during the Bush years also omitted “Israel” in at least some Jerusalem-datelined photos. Former Bush administration official Elliot Abrams told the Washington Post that the White House during those years “did not have a hard-and-fast rule” for statements and press releases about identifying Jerusalem as being in Israel. In the end, the Supreme Court will decide what it will. And Israel will negotiate what it will. And believing Jews everywhere will continue to know what we have always known: That, whatever any court or any country might contend, Yerushalayim, the city Jews have faced in prayer thrice daily for thousands of years, is the heart and home of Klal Yisrael. In fact, maybe that phrase is what passports should put after Jerusalem’s name. Rabbi Shafran is an editor at large and columnist for Ami Magazine. Cartoon reprinted courtesy of Yaakov Dry Bones Kirschen www.DryBonesBlog.blogspot.com. “A donkey loaded up with books.” That’s the term the Chovos Halevovos (Rabbeinu Bachya ibn Pekudah) uses to describe a scholar who has memorized much information but lacks the judgment, character and/or human insight to transform what he carries into wisdom. Donkeys bray and smell bad. Computers whir (at least if they have fans or rotating hard drives) and are odorless (though some keyboards are redolent of coffee). But donkeys and computers share two things in common: Each can hold much, and neither approaches being human. The media minions were gushing of late over the performance of an IBM computer that bested a pair of bright and well-versed human beings in a game show competition that tested knowledge in a broad array of areas. Christened “Watson,” the computer brought to the podium a 15-terabyte data bank of facts. And it answered questions (or, better, supplied questions to proffered answers or hints, the conceit of the game show, Jeopardy!) with aplomb. Just as it was programmed (by humans, of course) to do, “Watson” zeroed in on key words in the clue, combed its mega-memory for associations and, if its program rated the result sufficiently likely to be correct, sounded the game buzzer in a tiny fraction of a second. The flesh and blood contestants didn’t really stand a chance. Hosannas sounded from all directions. The accomplishment was hailed as a quantum leap toward Artificial Intelligence, the holy grail of some scientists who believe that a machine can be constructed that is indistinguishable in its cognitive abilities from a human being. The silicon scholar and the extreme animal rights group might not seem to have anything to do with each other. But both foster the same disturbing and deeply wrong notion: that human beings are not an utterly unique part of creation. Watson’s inventors and promoters exhibit no such mental aberration. For all I know, they may well enjoy a good steak. But all the same, a subtle offense lies in the Artificial Intelligence crowd’s notion that a sufficiently advanced computer could achieve consciousness, sentience, self-awareness. Because it, too, presupposes that humans are not qualitatively special beings, that, in our essences, we ourselves are just fantastically well-engineered pieces of software. But we’re not. We may share our basic biologies with the animal world; and elements of our information-processing abilities may be mimicked (even bested) by machines. But we are neither wallabies nor Watsons. We don’t just feel; we emote. We don’t just compute; we conceive. We don’t just act; we choose. Our reflections in a mirror mimic us too. But they’re not us. There’s a Purim thought here. Because Amalek stands for meaninglessness. From an Amalekian point of view, the world is, as they say, what it is; nothing more. It offers no reason to imagine that we are something beyond animals who speak and wear clothes (and so what?) and analyze things (though not even as well as computers). No reason to consider that there is good and bad, right and wrong, or some plan for history. Klal Yisrael stands for the very opposite, the conviction that human beings are the pinnacle of creation, that they can consider and communicate not just wants, like animals, but ideas, concepts, truths. And that a nation was chosen to be an example to the world of a human being’s highest aspiration, holiness. And so let’s be wary of Watson, or at least of Watsonism. And, amid all the cheering of the silicon emperor, let’s declare unabashedly that he has no soul. I have long suspected that the Jewish stereotypes invoked by comedians, impolite pundits, and anti-Semites contain some grain of truth. After all, even a powerfully positive middah, or personal trait, can, if mangled or misapplied, devolve into a parody of its essence. And when that happens, a negative stereotype results. But concern with currency is only mockery-worthy when it has degenerated into stinginess (as in the case of the fictional muggee) or thievery. In its pure form, it is called frugality, and is lauded by the Torah. That comment is not meant to counsel miserliness; it conveys a deep and quintessentially Jewish thought: Every honestly earned penny has true worth, for it can be turned into something meaningful. We might think of someone who, say, rinses out and re-uses a Styrofoam cup as some sort of miser; and maybe he is. But he might also be a truly righteous man, appreciative of, and reluctant to waste, something still usable. If he’s generous to the needy, we know which one he is. And so while stinginess may be ugly, frugality is not; indeed, it is a Jewish trait, and should be proudly embraced as one. Similarly, the stereotype of Jews as cliquish is rooted in our very real and proper sense of peoplehood. When, however, we unwittingly give the impression that we look down upon others similarly created in the image of G-d, we offer mockers (and haters) ammunition. It is important to not let our special bond with the “family” that is Klal Yisrael, the Jewish People, send a negative message to others. But internalizing that special bond, in the end, is essential to being a Jew. Of late, I’ve been thinking about another Jewish stereotype: the worrier. The fellow who frets about whether he turned the oven off or locked the door before he left home, about what might happen if he boards that plane, or what that stomach pain might mean. Of course, all sorts of people worry about small or far-fetched things. But there does seem to be a particular stereotype of Jewish overanxiousness. What middah might it, in a twisted way, reflect? What occurs is that worrying about unlikely things that might go wrong might be the flipside to something very Jewish indeed: Appreciating the myriad things that regularly go right. We say “Modeh Ani” (the daily acknowledgement of gratitude to G-d each morning) to acknowledge the all-too-easily-ignored miracle of our waking up. We say “Asher Yatzar” (the blessing recited after using the bathroom) to remind ourselves not to take the functions of our bodies for granted. We say “Modim” (“We acknowledge,” one of the silent prayer’s blessings) during each of our prayer services to thank G-d for His continuous gift of our lives and sustenance. That all reflects a fundamental Jewish middah, “hakarat hatov”-in the phrase’s most literal, most fundamental, sense: the “recognition of the good” that G-d bestows on us daily, indeed every hour, every minute, every second. To be exquisitely sensitive to all the blessings from which we constantly benefit requires us, on some level, to realize all that could go wrong. There are people, after all, who don’t wake up from their night’s sleep; whose bodies do not function normally, whose lives or livelihoods are imperiled. Only a keen recognition of such possibilities can lead us to fully appreciate what so many people mindlessly take for granted. Could that quintessential Jewish characteristic be what sometime decays into “Jewish worry”? Might anxiety be a warped expression of what, ideally, should be a feeling of joyful gratitude to the Creator for (in Modim’s words) “nisecha sheb’chol yom imonu”-the “miracles that are with us each and every day”? Perhaps, in other words, the Jewish worrywart, by obsessing over the myriad things that can go wrong, is mangling the Jewish trait of gratitude to the Creator for when things go right. Rabbi Shafran is an editor at large and columnist for Ami. Do you miss the good old days when we had a President who refused to allow the US to participate in the UN’s Durban Review Conference because he believed Israel would be unfairly criticized. A President who rejected the Goldstone report, and refused to participate in joint military exercises with Turkey when Ankara insisted Israel be excluded. A President who asked Congress to approve a $205 million package to help Israel build a new anti-missile defense system. A President who spoke up on Israel’s behalf to help it gain acceptance into the Organization for Economic Cooperation and Development. A President who didn’t shy from authorizing the killing of an American-born radical Muslim cleric hiding in Yemen. A President who, in a speech delivered in the heart of the Arab world, told his listeners that they need to recognize the legitimacy of a Jewish state. A President who, on the domestic front, signed an executive order that preserved the faith-based social service funding initiative and pointedly did not forbid participating religious groups from discriminating in hiring in order to be faithful to their religious beliefs. Well, take heart. The good old days are more recent than you think. You have that President. His name is Barack Obama. But it bothers me that Mr. Obama is negatively viewed by so many Orthodox Jews, ostensibly because he treats Israel badly and is hostile to religion. I have no statistics, only anecdotal evidence and journalistic gleanings, for my feeling that he is so viewed by many intelligent and otherwise well-informed frum folks. But if I’m right and he is, one has to wonder why. Maybe it’s his fiscal strategy. Economics is an esoteric, inscrutable science to me, something on the order of particle physics. And so it may well be that the President deserves opprobrium by the heapful for his fiscal policies. But those policies are not the major part of the criticism one hears about Mr. Obama “in the mikvah,” so to speak. There he is indicted on charges of insensitivity (or worse) toward Israel or religious Jews. Surely our community is not so uninformed as to consider Mr. Obama’s middle name, given him at birth, an indictment of his character; or so credulous as to doubt his citizenship; or so crass – one hopes – as to distrust him for a surplus of melanin. There may well be reasons to feel negatively toward the current Administration (certainly many people, and they are hardly limited to our community, do). History will have its say in time. But if any readers were surprised a few paragraphs above to discover that the “good old days” of American support for Israel and concern for religious rights are the here-and-now, they must admit that they were not as well-informed about our President as they thought. The real problem here, though, isn’t Mr. Obama or our feelings about him. It’s something deeper. One of the most basic Torah imperatives is modesty. Not only in dress and in speech but in attitude – in recognizing that there are things we don’t know, in some cases can’t know. And yet so often we seem to feel a need to embrace absolute, take-no-prisoners political opinions; to reject any possibility of ambivalence, much less any admission of ignorance. Certitude is proper, even vital, in some areas of life. But in the realm of politics it can be, in fact usually is, an expression of overconfidence or worse. Part of wisdom is knowing what one doesn’t know. And part of modesty is acting accordingly.